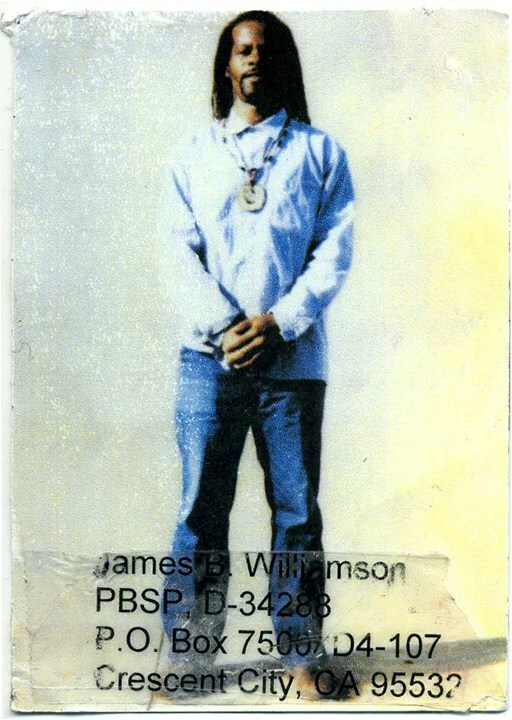 And Brutha Sitawa would continue to share the broader vision, foreseeing not only our tortured class being released from solitary confinement, but also changing the backwards direction of the California and U.S. governments’ new Jim Crow systems of mass incarceration. Then came the hunger strikes (2011-2013) and we saw CDCr (California Department of Corrections and Rehabilitation – the last word often not capitalized because it’s proved to be an empty promise) being compelled to start releasing some of our class members – aka DRB (Departmental Review Board) kickouts – out of soli­tary confinement into the general population. And upon our arrival out to the GP, some of us knew that CDCr-CCPOA guards were plotting and scheming to not only figure out a way to stop from having to release the rest of our class from the SHU by finding a way to use us as their pretextual excuse, but to begin re­filling those multi-million dollar SHU unit cages with the next generation of solitary confinement-tortured subjects. CDCr-CCPOA guards have a long, sordid history of manipulating and playing prisoners against one another like pawns in the game being pulled on puppet strings, which is well rooted in its old ingrained culture, traditional patterned practices and institutional racism and impu­nity. Many if not most of us DRB SHU released class members refused to allow CDCr-CCPOA staff assigned to OCS (Office of Correctional Safety), SSU (Special Services Unit), ISU (Investigations Services Unit) and IGI (Institutional Gang Investigations) to manipulate and play us against each other out here so the rest of us could have the same fair, rightful release out to see the sun, enjoy contact visits with their loved ones, socialize and begin the long process of healing from years and decades of being tortured by CDCr-CCPOA, OCS, SSU, ISU-IGI and LEIU (Law Enforcement and Investigations Unit). 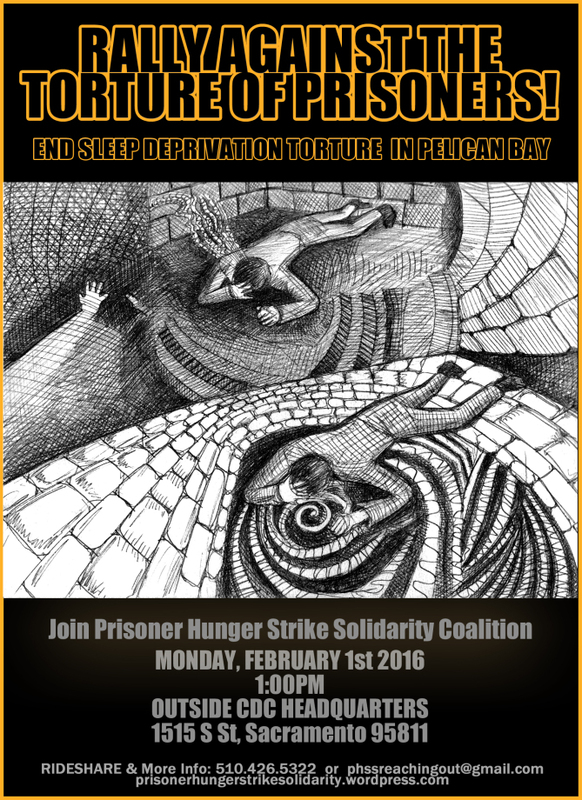 Shout out to all those who understand the bigger picture of our solidarity efforts coming out of the hunger strikes, which continue today as the Prisoner Human Rights Movement (PHRM). Unfortunately, there are some California prisoners still allowing themselves to allow CDCr to pull them backwards into that old CDCr way of thinking and behaving that allowed us to be set up to be wrongfully placed and kept inside CDCr’s solitary confinement torture system under their old “snitch, parole or die!” mass validation, indeterminate SHU, coerced, enhanced, interrogative debriefing mind and spirit-breaking scheme. Whether it be what happened at New Folsom last Au­g. 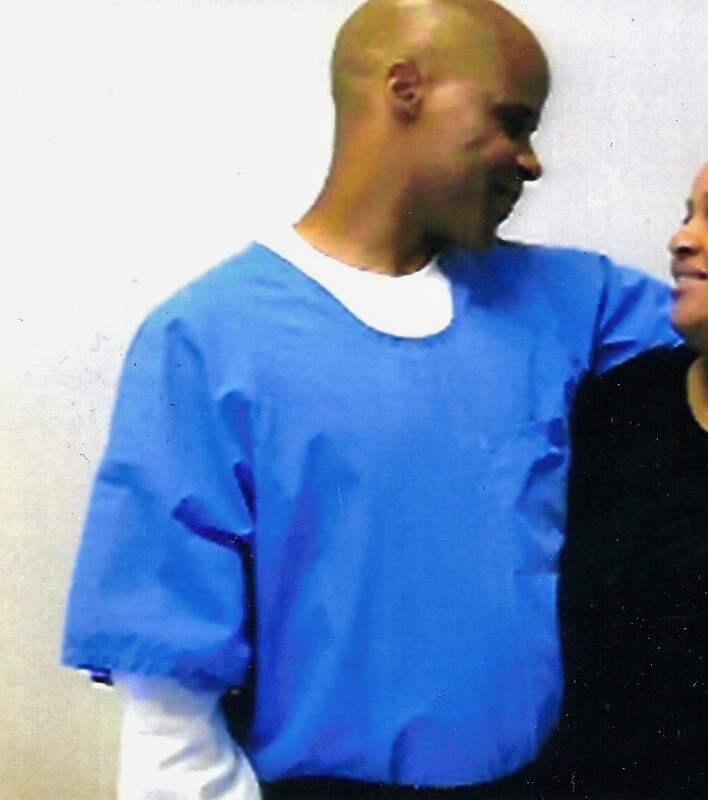 12, 2015 – condolences extended to the family of Hugo Pinell for the loss of our Brutha Hugo to the old, evil, backward thinking of the past – or when it appears elsewhere throughout CDCr, we have to be mindful of what we witnessed and experienced during the solidarity hunger strikes, class action lawsuits, standing up against this wicked system together with our families, relatives and supporters who challenged and rocked CDCr and this state’s government to its core with our Five Core Demands, Agreement to End All Hostilities etc. And now a course has been set to demand and win back most if not all the rights, privileges and amenities that were wrongly taken away and denied to California’s incarcerated residents being warehoused on these Level 180 and 270 institutions. We deserve fair and equal access to the state- and federally-funded rehabilitative programs and services, including access to immediate family and conjugal visits, vocational trades and classes, workable-skills jobs, computer literacy education etc. Upon arriving at CDCr’s Level 180 Salinas Valley State Prison (SVSP) Facility-C general population (GP) Yard 1, which reflects a traditional CDCr GP for adult men, that is, Southern Mexicans, Afrikans, Northern Mexicans and Whites, except the other nationalities are over on Yard 2, along with some more Afrikans, Fresno Bulldogs and New Flowers, it was clear to us disciplined solidarity supporters of the Agreement to End Hostilities (AEH) that we had gone from one messed up, non-rehabilitative reality to an old traditional CDCr environment. We even heard that certain staff had been overheard betting that “those guys won’t stay out here a month, certainly not six months.” And now they’ve come to realize that not only is this former indeterminate SHU class out here to stay, but we are still standing united in solidarity to demand and get our rights to all be treated with respect as human beings and provided with the same opportunities to have a parole date and to be released back home with our families, communities and society! The winds of change are beginning to blow again in the direction of opposition to mass incarceration, rehabilitation and recidivism, as well as opposition to the long-term use of solitary confinement, which must include abuses even for short-term solitary. While much of this new direction for change is still in its idea and/or early stages of being worked out through the very same governmental branches and systems that have been identified as play­ing a large if not total part of causing the problems in the first place, it will take the courageous people, organizations and groups, independent of the govern­ment, to continue to stand in solidarity both inside and outside U.S. and California institutions to call for, demand and make real tangible change. 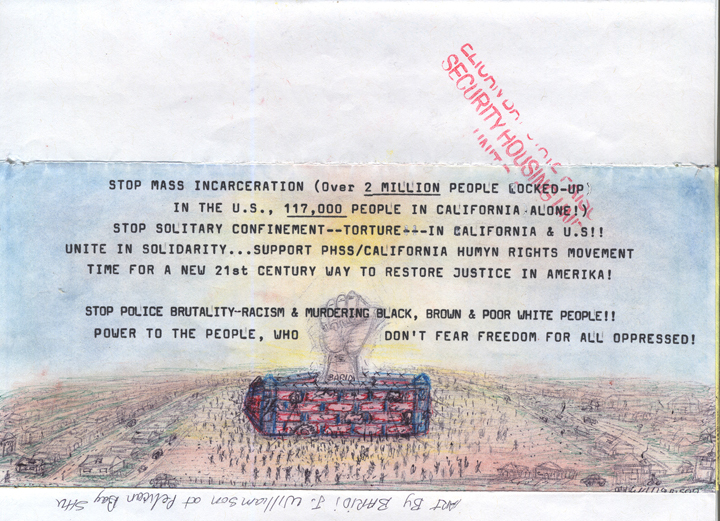 We prison activists recognize that CDCr and each of the solitary confine­ment housing units – SHU, Ad-Seg, Stand Alone etc. – have been illegally warehousing women and men prisoners for four decades. We knew that during the three non-violent peaceful hunger strike protests in 2011 and 2013. And we lost some prisoner ac­tivists who paid the ultimate sacrifice. We shall always honor those heroes! We prison activists recognize that wardens and their subordinates are governmental peace officers and must be held accountable to discharge their public service duties and responsibi­lities in a professional and transparent manner. To ensure governmental ac­countability and transparency, these peace officers working in CDCr should also have body cameras on their California governmental CDCr peace officers’ uniforms, just like the outside peace officers throughout California. 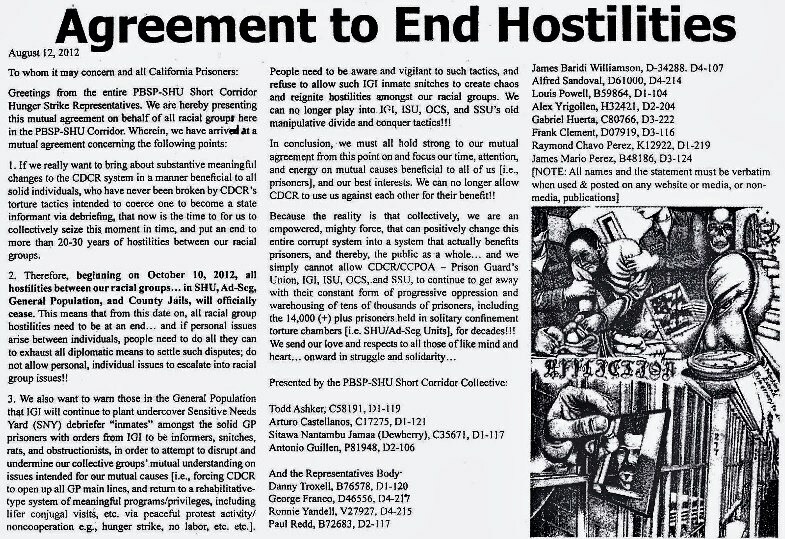 We prison activists recognize that CDCr is operating semi-general population and modified general populations within the prisons, thereby violating general popu­lation prisoners’ constitutional rights. And as such, we prison activists cannot fulfill the personal goals and objectives of rehabilitative success. 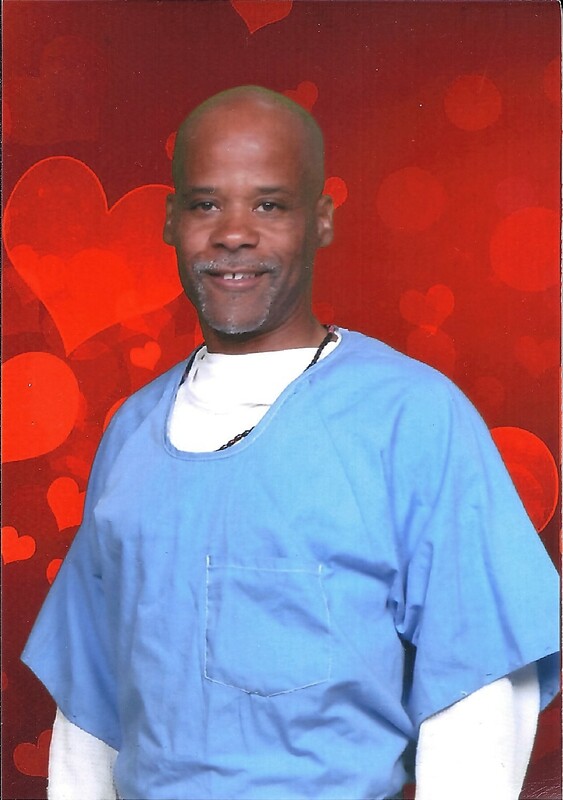 Send our brothers some love and light: James X (Baridi) Williamson, D-34288, and Sitawa Nantambu Jamaa (R. Dewberry), C-35671, Salinas Valley State Prison, Yard 1, C1-118, P.O. Box 1050, Soledad CA 93960. Leaving out of Pelican Bay Solitary Confinement Torture Prison-Facilities/Units-Cages for the first time on Jan. 23rd, 2015 (after arriving there Nov. 29, 1990), I remember witnessing my first sunrise as the CDCr [CA Dept. of Corrections and rehabilitation] “gray goose” transportation bus travelled up the mountainside along Highway 101. Staring out the window at the skyline as it transformed into a mixture of blended orange-red-violet-blue colors, I sat there in deep silence just appreciating the beauty of Nature … It would be the first of many first time experiences of using my natural senses again after being buried alive in that concrete box deprived of the natural use of those senses for the last twenty five (25) years . . . a quarter century. My next First was at the San Quentin Receiving and Release Center where our bus stopped over. And while we was standing in small holding cages waiting to get back on the bus, another of the men (in another cage) asked to use the restroom across the hall. I was surprised when the guard walked over to the cage, unlocked the door, and let the guy walk out and across the hall (around other staff) unhandcuffed! I knew that I had to experience this after years/decades being chained and cuffed (like a 19th century slave). I asked to use the restroom and the guard let me out to walk freely across the hall uncuffed. It was not far, but just the absence of cuffs made a world of difference between being treated like a (chained) animal and feeling Humyn! My next First may seem small to many outside hearing this, but for me it was special for my humanity. On January 28th, 2015 I arrived at SVSP (Salinas Valley State Prison) general population and was housed with a fellow human being named Malik. He gave me a brand new toothbrush (that he was allowed to purchase from an outside quarterly package vendor.) This was not the 2″ miniature size toothbrush (normally for brushing pet animals’ teeth) I had been using since the 1990s. This was the normal regular-size toothbrush used for brushing humans’ teeth. And each time (twice in the morning, afternoon and evening-night) I use it. The feel of being human is always at the front of my mind. With each stroke of the brush I humbly give in to the use of this part of my deprived senses. 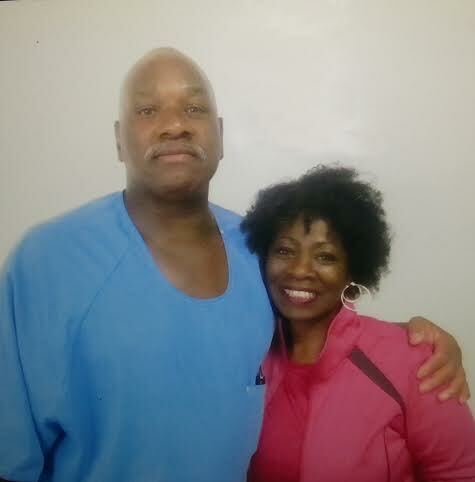 There has been many more Firsts since then over the course of this first year, but the one that is so close and dear to heart was my first visit (contact) with my family in my thirty-plus (30+) years of confinement in CDCr, when I was able to visit my sister Donnita Benson, when she flew out from Oklahoma City and we hugged/kissed for the first time since 1980. It was a memorable experience to go from tears of hurtful pain and suffering (that dates back to our childhood struggles – domestic violence, being separated at ages 10 [me] and 14 [her], as “survivors” -she survived breast cancer and I survived being lost to the street jungles at age 15, then these concrete prison jungles, including decades in solitary confinement) then went to tears of joy, laughter, and happiness as we enjoyed those two days together. She said I squeezed her hand so tight and would not let it go that it went numb … Oops, my bad. I guess I subconsciously was that little child back home walking everywhere holding securely to my older sister’s hand. I will close this off with a solidarity salute of respect, appreciation, and honor to all of the PHSS-PHRM outside supporters who believe in our cause enough to keep the spotlight upon both this states’ massive dysfunctional system of mass incarceration, its evil solitary confinement torture use, non-rehabilitative and social re-entry parole opportunities, and their contributions for helping those released from long-term solitary confinement and its own unique post-traumatic stress disorder syndrome (PTSD-solitary confinement) identi[ty], cope-heal, etc. from its effects. Thank you/Asante to each and all.